The Classic Double-Mount offers that timeless elegance in craftsmanship for adjacent homes or shared entry ways. 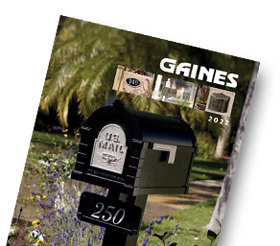 One pedestal installation, two mailboxes. Available in White, Almond, Bronze or Black, with Polished Brass, Antique Bronze or Satin Nickel finishes.